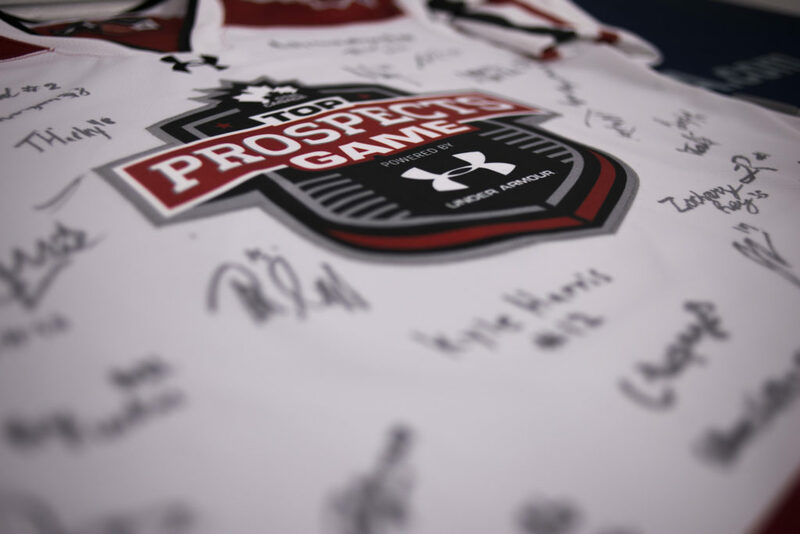 Riley Piercey’s (Toronto Marlboros) two-goal performance propelled Team Graves-Primeau-Tucker to a 5-1 victory over Team Clark-Weaver-Corson at the 9th annual GTHL Top Prospects Game, Powered by Under Armour on Tuesday night at Scotiabank Pond. 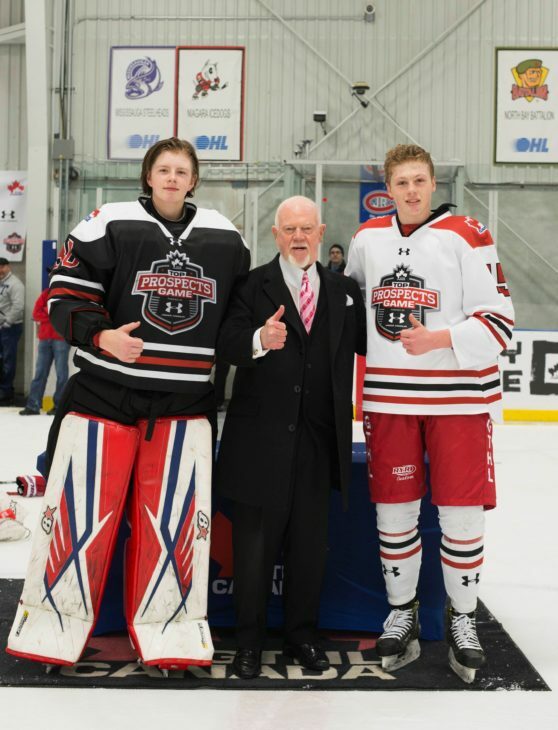 Every year, the GTHL Top Prospects Game features the brightest stars at the Minor Midget level, with this rendition seeing a heavy weight battle. Whether it be Mississauga Reps hulking D-Man Owen Power of Team Clark-Weaver-Corson, or bruising power forward and Toronto Marlboro William Cuylle of Team Graves-Primeau-Tucker, all pre-game measurements were pointing towards some weight being thrown around. The physical affair started shortly after puck drop with some big hits by Cuylle and Toronto Jr. Canadiens defenceman Michael Bianconi. The heavy play paved the way to an early goal less than two minutes into the game when dynamic Jr. Canadiens forward Dylan Robinson put Team Clark-Weaver-Corson up 1-0. 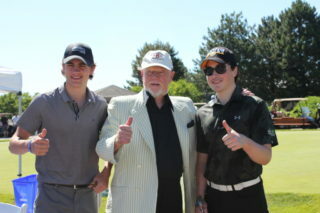 MVPs Chase Clark (left) and Riley Piercey with Don Cherry. 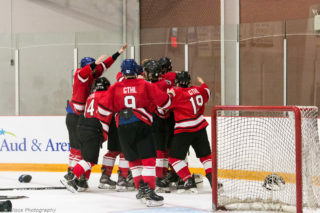 At the other end, Tristan Lennox of the Mississauga Reps was standing tall to preserve his team’s precious lead, including a huge save on a three-on-one midway through the frame. Not long after though, Marlboros’ Cameron Peters would get one past Lennox on a pass from fellow Marlboro Stephen Halliday. The two, along with linemate Piercey, have a solid dynamic built through regular league play. Late in the first, a point shot from Lleyton Moore would find the stick of Piercey, allowing him to net his first goal of the evening, giving Team Graves-Primeau-Tucker their first lead of the game. That lead would only grow when Piercey notched his second goal at 16:40 in the second period. “I made sure I bared down on my chances when I got them,” stated Piercey regarding his performance. “If I had a chance I just made sure I got the shot off”. A goalie change midway through the action saw Don Mills Flyers behemoth Joe Vrbetic tend the pipes for Team Graves-Primeau-Tucker. Vrbetic’s calm demeanor and fluid reflexes nullified any chances for Team Clark-Weaver-Corson. 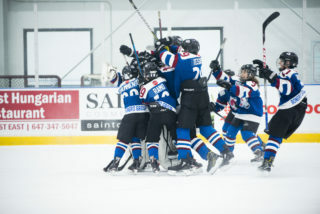 Toronto Young Nationals goalkeeper Chase Clark played admirably to keep his side in the game, but was forced to make way for an extra attacker late in the third period. 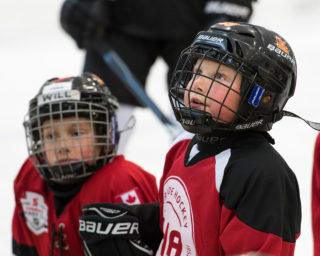 “It was great, the kids played hard, it was a 3-1 game really and then we had to pull the goal in the last three minutes,” said celebrity coach and former Toronto Maple Leafs Captain Wendel Clark. “We had a great third period as a group we just couldn’t find a way to put it in”. In the last minute of play, Vaughan Kings forward Tyler Tullio was quick to deposit the puck to teammate Eric Russell who followed it up with a nifty wrister over Clark’s shoulder. 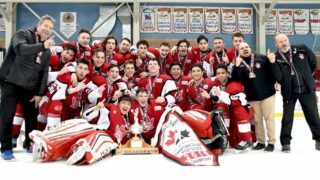 Piercey’s strong showing earned him MVP honors for Team Graves-Primeau-Tucker, while Chase Clark’s strong play between the pipes netted him player of the game for Team Clark-Weaver-Corson. 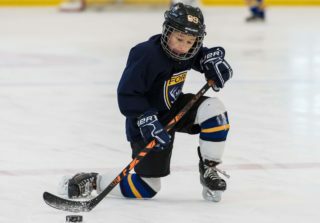 The 9th annual GTHL Top Prospects Game, Powered by Under Armour will be made available on GTHLCanada.com in its entirety in the coming weeks.